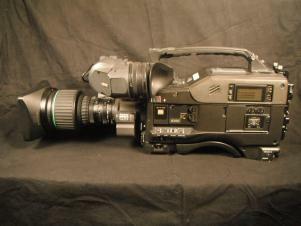 The HDCAM system is comprised of the HDW-700A camcorder. 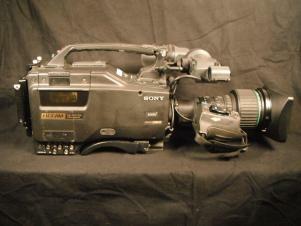 The HDW-700A camcorder features three 2-million pixel CCDs and a sophisticated DSP HD camera video processing (both developed by Sony), physically integrated with an unusually rugged yet miniature digital HD VTR using BETACAM-size 1/2-inch tape.The independent production community has eagerly recognized the enormous potential of the HDW-700A. They now have a compact all-digital battery-powered HD camcorder for high-end program acquisition on remote locations which inherits all of the operational advantages of the well accepted Digital Betacam format in addition to many new HD functions. The HDW-700A incorporates Sony's digital processing technologies, enabling 40 minutes of cost-effective digital HD video recording in the camcorder, with two 16-Bit digital audio channels facilitating high quality sync sound in the field. The instant HD color playback directly from the camcorder is a boon for those needing to screen their "dailies" while shooting in remote locations. In addition, miniature pre-programmable memory cards that plug into the side of the HDW-700A allow HD videographers to instantly set the "look" of their HD image. This can be vital for providing instant recall of a special adjustment made on a prior shoot, rapid matching to another camcorder, or allowing the emulation of known film stocks. 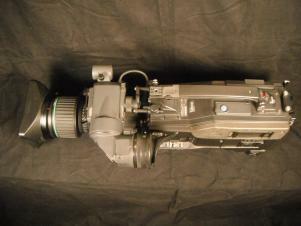 With the HDW-700A, Digital Electronic Cinematography has, at last, become a reality. Extraordinary picture quality is achieved while offering F8 at 2000 lux sensitivity, signal-to-noise ratio of 54 dB, and a virtually invisible smear level of 120 dB as a result of FIT HD CCD with 2,000,000 picture elements. 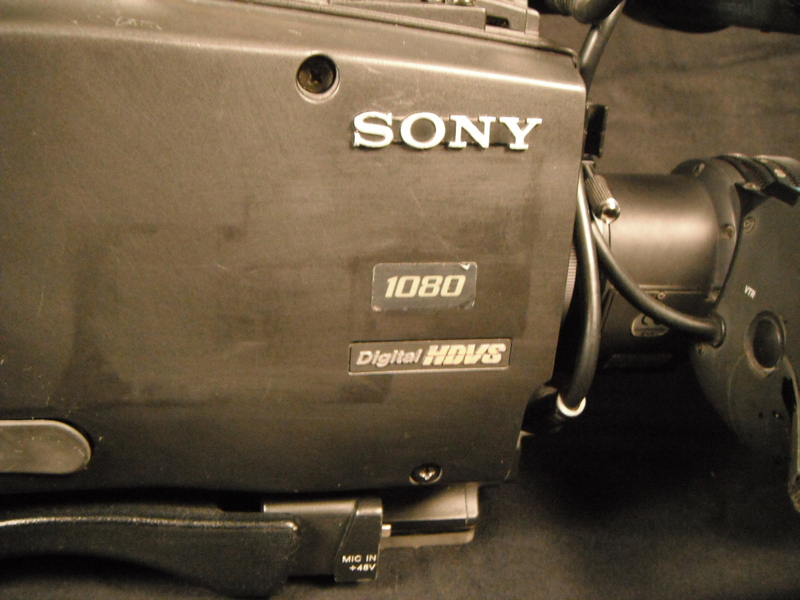 Either an HD lens or conventional 2/3" lens can be mounted allowing the conventional lens now being used everyday on all Sony SDTV portable cameras and Betacam camcorders to be used with the HDW-700A for an easier migration to DTV. Sony's original HD DSP (Digital Signal Processing) processing technology in the circuits after VA (Video Amplifier) such as gamma, detail, knee and encoding processing. This offers all the refined benefits of digital stability. Long continuous operation time is achieved as a result of low-power-consumption CCD drive circuit and Sony's low-power high-speed CMOS DSP technology. High Definition picture quality emulating that of a studio camera can be obtained by the Sony advanced HD DSP camera processing, which offers a variety of important creative picture adjustments, such as skin tone detail control, variable linear matrix, and black gamma control. The parameters of the reference and operator file can be stored on the Setup Card. The Setup card also allows an instant setup of the HDW-700A to the specific conditions preset on the Setup Card. The Setup card capability also enables the transfer of camera information between HDW-700A's to allow field camera matching. This convenient function adds great flexibility and dramatically improves operating efficiency. 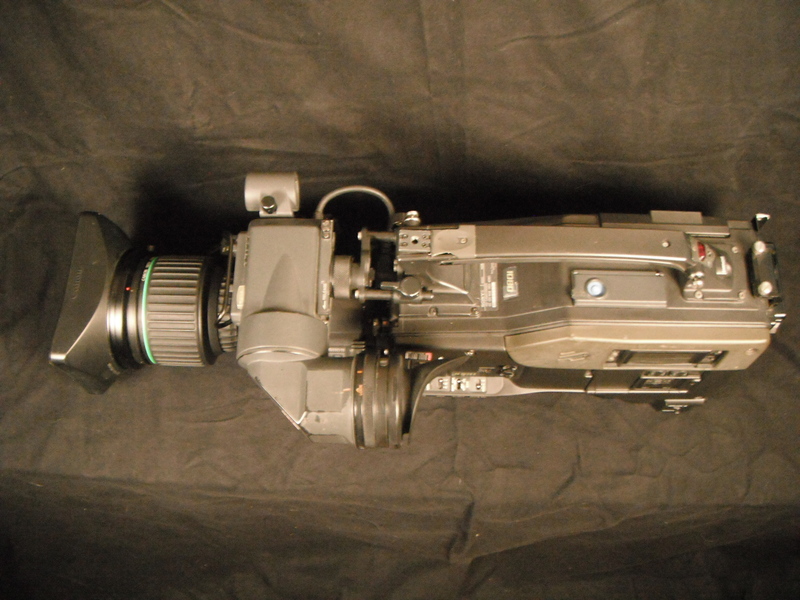 A variety of shutter functions are available for on-location imaging control. Clear Scan and ECS (Extended Clear Scan) can be utilized to control the vertical scanning rate and EVS (Enhanced Vertical Definition System) is offered to allow a significant improvement in vertical definition where motion blur is not a consideration. Switchable field frequency between 59.94 Hz or 60 Hz to facilitate operation in all anticipated broadcast and post production environments. The HDW-700A adopts Sony's HDCAM format to provide an extended recording time of 40 minutes for EFP, EC, and ENG applications. The HDCAM format utilizes a high-density recording method, which, in combination with the HD Digital Bit Rate Reduction technology, enables the HDW-700A to record 40 minutes per one S cassette also contributing to a considerable cost savings compared to 35mm or 16mm film. The arrangement of connectors and control switches has been carefully designed for the needs of high definition EFP, EC, and ENG shooting. Connectors and control switches have been placed in optimal positions, giving the camera person a comfortable operational feel. For example, the frequently used remote control terminals have been relocated toward the rear for convenience. 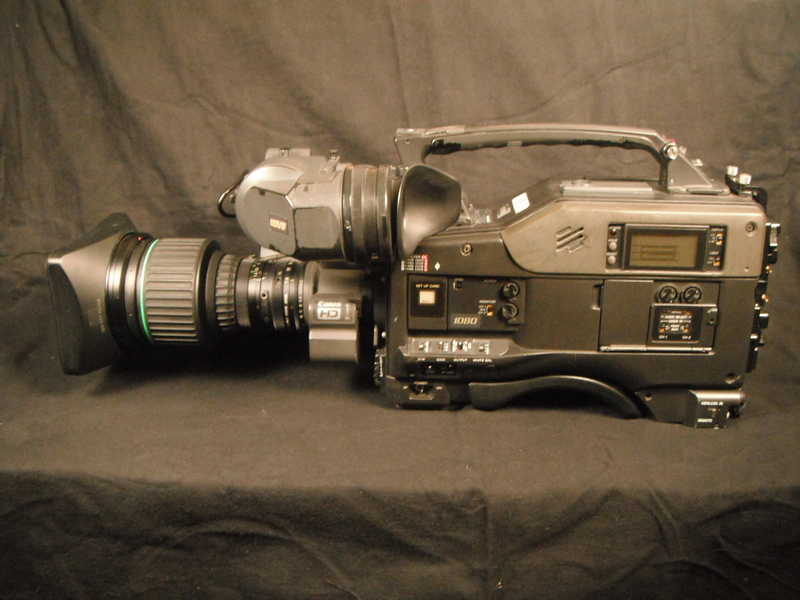 In order to survive the stress of field production, the HDW-700A has retained the proven Digital Betacam camcorder's design concept, including a dust-proof, water resistant, and mechanically robust body. This, in combination with the unique HDCAM recording format, ensures high recording integrity under the most severe environment conditions.